This large peace pipe has a 2 point deer antler bowl and a 24" hardwood stem. 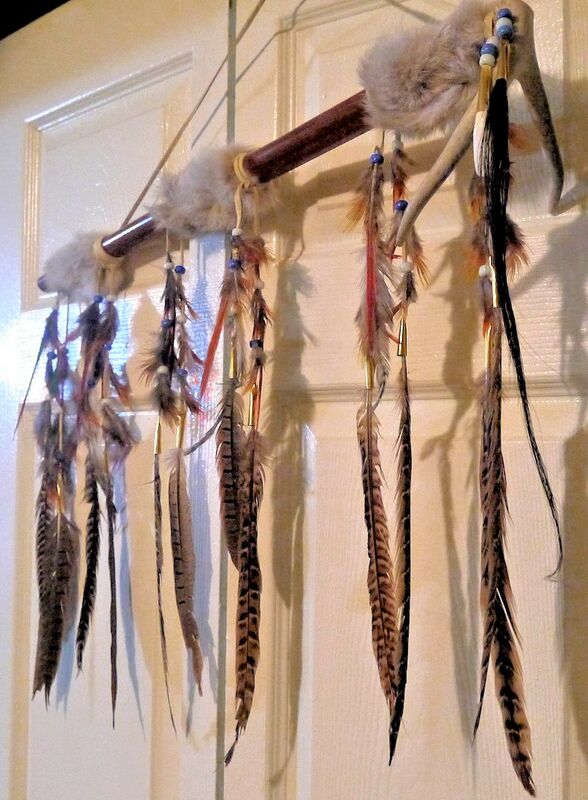 It is decorated with genuine buckskin leather, pheasant tail feathers (shown), dozens of smaller feathers, light rabbit fur, a buffalo tooth, and horsehair. The feathers are held on with glass crow beads and brass cones. The picture shown is representative. Each antler bowl is slightly different, and bead colors may vary. Not produced by or the product of a particular Indian or indian tribe as defined by 26 USA - 605 et Seq.